Which tea is right for you? There are many kinds of Japanese green tea available. From special occasion teas like gyokuro to houjicha - a roasted tea and great evening drink and the famous ceremony powdered tea called maccha. Here is a brief description of some of the main types to help you choose the right ones for you..
or jade dew is selected from tencha and is regarded as the highest grade of tea made in Japan. It is a luxury and quite rare, made only with the first flush leaf in order to achieve a rich and round flavour with a delicate, pale lemon-green colour. It makes an excellent light evening tea. or ‘roasted tea’, is the most popular of all Japanese green tea. 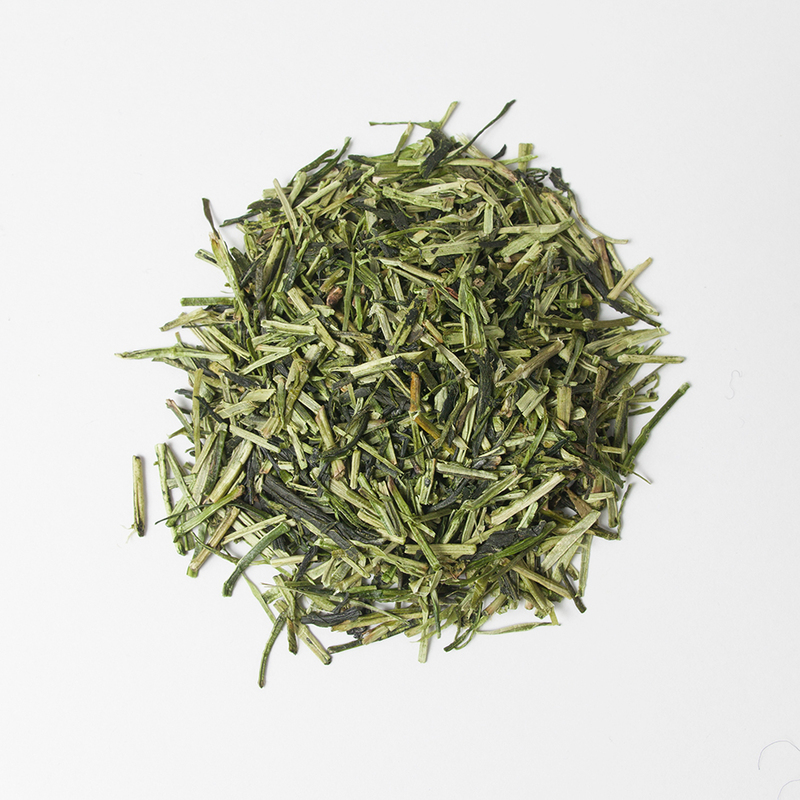 Sencha has a pleasant sharpness and fresh qualities from a lea f of rich emerald colour. Flavour, colour and quality of sencha is variable, depending on origin, season and the leaf processing practises. Late harvests of sencha have more bitter qualities, a more robust flavour and generally less aroma. Sencha is the tea normally offered in Japanese households or restaurant. is powdered or tea. This is the green te a of the Japanese Tea Ceremony (Chano-yu). Maccha is generally a ‘heavy’ green tea, but it can be prepared as a strong (koicha) or weak tea (usucha) depending on the way it is made. Maccha is made from early season, high grade, shade-grown tea. The highest grades of maccha are sweeter and deeper flavour than later harvests. sometimes called stick tea owing the thin shape of this leaf-stalk blend. The tea is made from stalks of gyokuro and sencha with emerald leaf to make a pale green stalk blend. Kukicha is made from stalks produced by harvesting of one bud and three leaves. 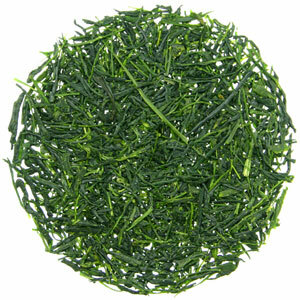 Kukicha has a light flavour, and fresh, green aroma with a light yellow-green colour. or common tea is made from coa rser grades and heavier, late season crop, It is a full-flavoured tea made from larger leaves than are usually available for sencha grades. Bancha usually lacks the delicate sweetness of quality sencha but has a well-defined character, vivid yellow colours and refreshing and deep flavours that goes well with food. 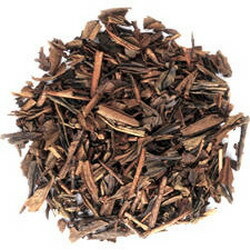 Houjicha is a pan-fried or oven ro asted green tea. It has very little bitterness, and tends to be an aromatic tea, light on the palate and quite refreshing. 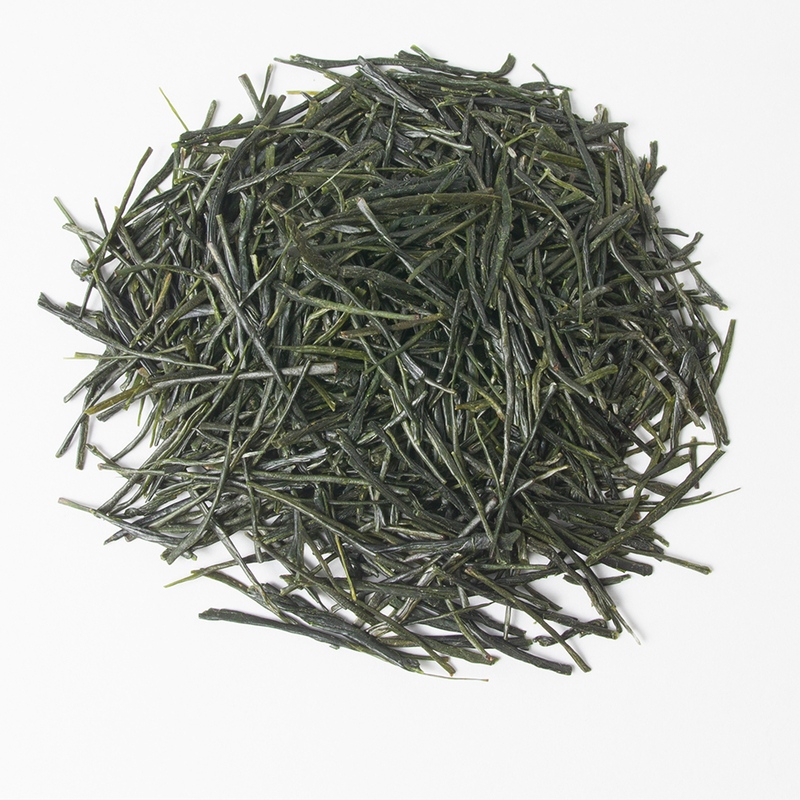 Houjicha has a distinctively clear red appearance and clean, roasted flavour goes well with food. It is often drunk as an after-dinner tea. A blend of bancha and roasted rice grain. 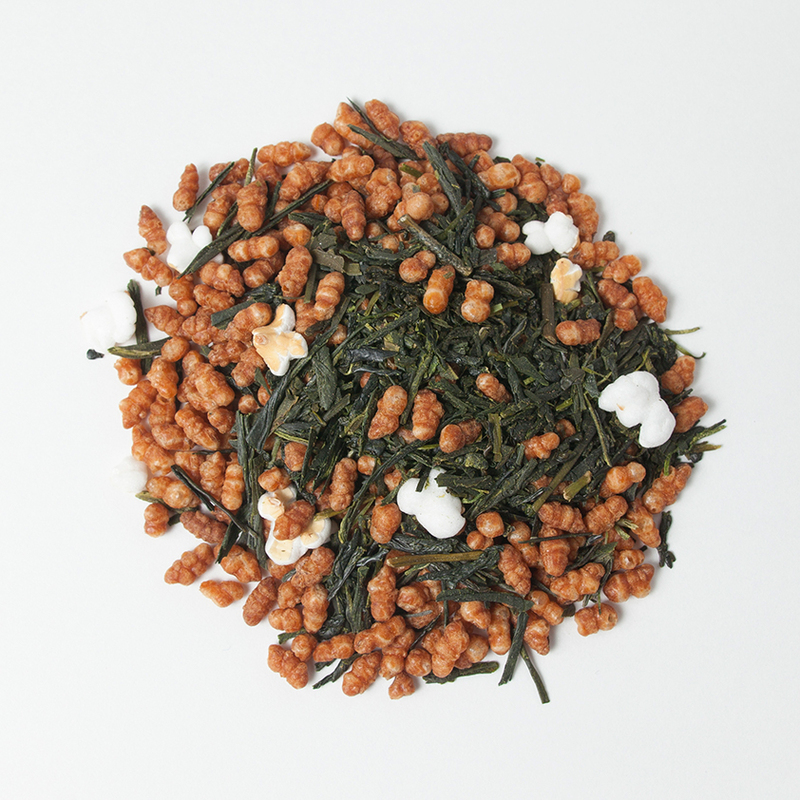 Genmaicha is a mixture of green tea and roasted rice flavours. Genmaicha is a good evening beverage which won’t disturb sleep.